What is more Irish than a fine bottle of whiskey? St. Patrick’s Day, of course! 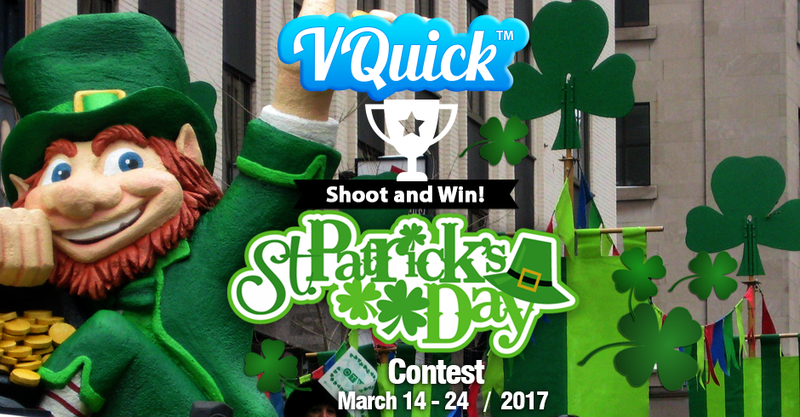 For this very bright and green occasion VQuick is launching a new video contest – the winners of which will receive generous cash reward, special certificate and most of all great deal of celebration and fun. All you have to do is shoot an interesting and appealing video, share it online and get lots and lots of Votes on it. The best videos will receive cash prizes, special certificates and a warm welcome from the VQuick team. The contest will run until 23:59 Eastern Pacific Time on March 24, 2017. The creators of top 10 videos will be awarded with cash prizes, certificates and worldwide recognition.